If you missed Part I of Our Top 10 Favorite Facebook Pages, click here. We love the South Carolina Ride Report because they spotlight lots of great biker events in the Charleston area such as sponsored and charity rides, festivals, parties, and more. We are huge supporters of pit bull rescue organizations. 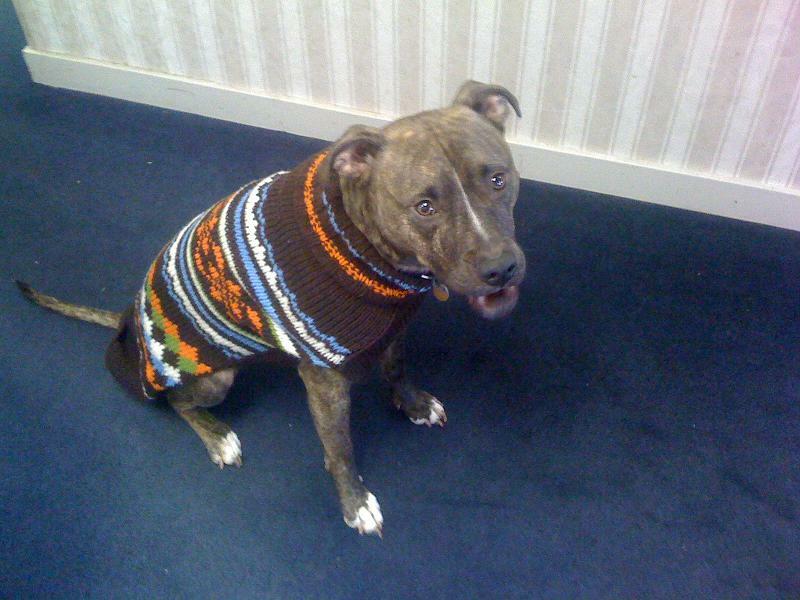 In fact, our office pup, Choncho is an adorable, fun-loving pit bull! New Hope Pit Bull Rescue works to help the pit bulls and educate others about this breed. Our pit bull Choncho during the wintertime. ABATE, which stands for A Brotherhood Against Totalitarian Enactments, is an organization that supports motorcyclists’ rights and works to upload biker liberties and freedom of choice. Motorcycle Riders Foundation, Washington, D.C. The Motorcycle Riders Foundation, Washington, D.C.’s Facebook page works to educate bikers around the country about motorcycle news, laws, and events. It’s a great resource that takes a nationwide approach. BikersPost.com’s Facebook page is dedicated to forging a community of motorcyclists and allowing them to share their opinions, stories, tips, and advice. It’s a great place to meet other bikers and find motorcycle news and information. You can also follow Uricchio Law Firm on Facebook. Click here to Like us!